Sofitel Philadelphia blends French elegance with American style providing a refined environment for upscale business and leisure travel in the city center just minutes from historic attractions. e. Then explore art and culture nearby at impressive exhibits including The Barnes Foundation's world-class art collection. Guests of our pet friendly hotel will appreciate our stylish accommodations. Select from 306 elegant rooms on 14 floors including 67 luxurious suites all featuring Sofitel's luxurious feathertop and duvet sleep system - SoBed. Behind its red bricks and stone columns, Philadelphia is home to the history and soul of the New Continent. With top museums and spacious parks, popular shops and renowned festivals, the city of brotherly love has something for everyone. Via the I 76 west to east, take exit No.345 then turn right at the top of the exit ramp and continue around the station to the second set of traffic lights. Turn left onto Market St, continue 13 blocks to 17th St then turn right onto 17th St. Via the I76east to west, take exit No.345. At the top of the exit ramp turn right onto Chestnut St then continue to 17th St and turn right. 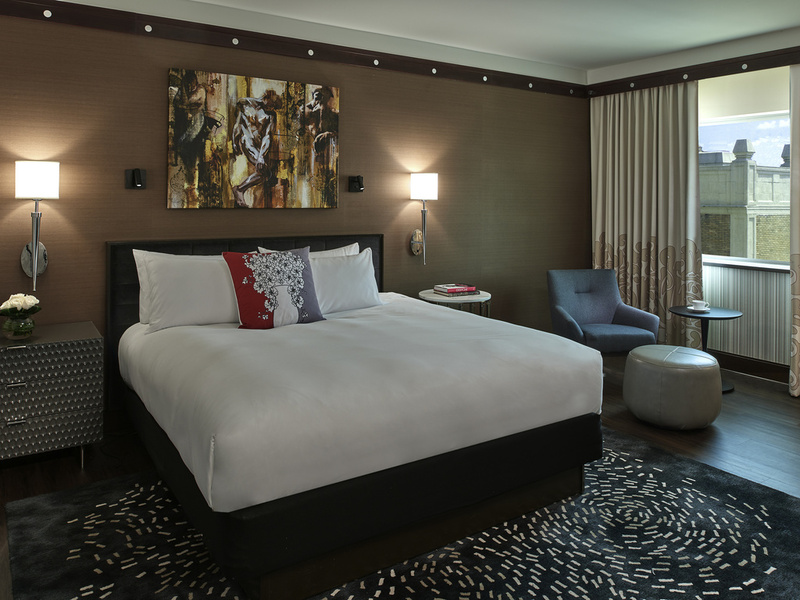 Our Philadelphia 4-star hotel reflects contemporary French and American style, with an emphasis on comfort. Each Philadelphia luxury hotel room is equipped with WiFi internet access, a fully stocked mini bar, and French bath amenities. 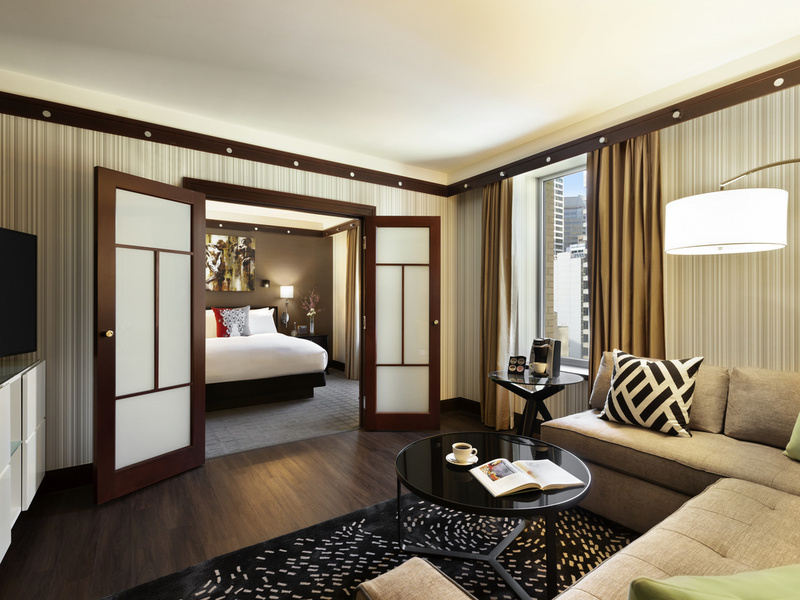 Discover the spacious comfort of our sleek Sofitel Philadelphia hotel suites. Enjoy modern design and chic style, featuring a feathertop SoBed and an average of 631 square feet of living space with lovely views from our hotel near Rittenhouse Square. 55 sqm/600 sq. ft.; Separate Living Room and Bedroom with King Bed; Marble bathroom with Separate Shower and Tub; Work Desk and Sitting Area with Coffee Table; Bathrobe and Slippers with Hermes Amenities; Complimentary Wi-Fi; Sofabed in living room. Enjoy contemporary French-inspired food at Liberte Lounge. Indulge yourself at this downtown Philadelphia restaurant, a chic center city hotspot near the Kimmel Center and Rodin Museum, featuring a relaxing ambiance and delectable menu. The chic Liberte Lounge at Sofitel Philadelphia serves refreshing cocktails in one of the loveliest center city settings. Gather with friends at the bar, share an intimate moment by the fireplace or enjoy an exquisite meal in the dining area. Liberté chic urban lounge serving cocktails and contemporary French-inspired food in one of the city's loveliest settings.Gather with friends at the bar, Share an intimate moment in the lounge along the fireplace, or enjoy a meal in the dining area. Enjoy an ideal location in the midst of Philadelphia's art and culture. Offering two floors of event space, Sofitel Philadelphia is the premier center city venue for downtown meetings and conferences. Enjoy exceptional facilities and impeccable service with more than 16,000 square feet of meeting space. Choose from spectacular venues including the Paris Ballroom, with luxurious amenities and contemporary French cuisine that add sophisticated style to any event. Luxuriate in a spectacular wedding venue, including the glimmering grand ballroom hosting up to 300 guests in a banquet style. Sofitel's Weddings Planner is part-artist, part-visionary, part-manager. Together you create the details of your wedding reception and events and select the perfect Sofitel Philadelphia wedding venues. The Planner brings it to life. Sofitel Philadelphia accommodates your wedding party in 374 luxury hotel rooms and suites, lavishing them with ultimate comfort and sophisticated style. Sofitel Philadelphia is located in elegant Rittenhouse Square in an area designated as the city's French Quarter. 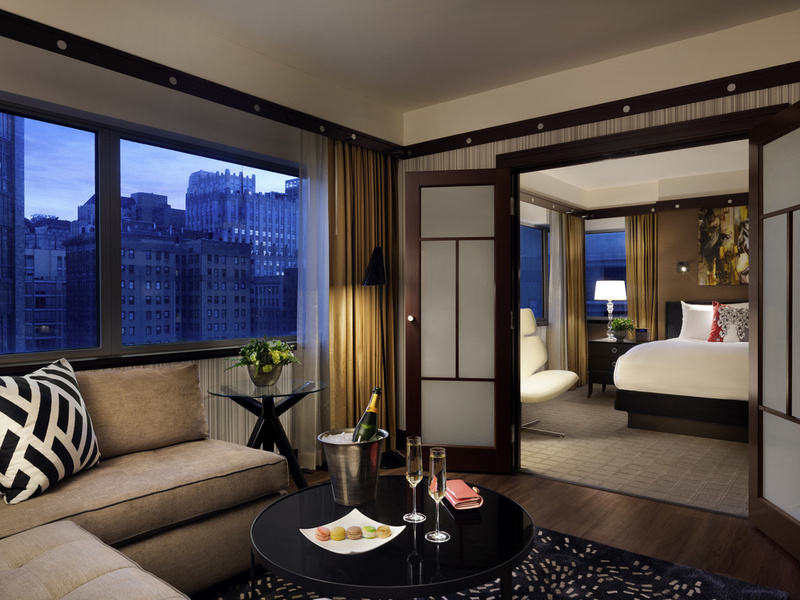 Sofitel Philadelphia offers some of the best hotel services and amenities so that you can get the most from your vacation or business trip. Our luxurious hotel features a fitness center, complimentary Wi-Fi, valet parking and more.